This new show will illuminate Hogwarts Castle nightly now through April 28, and then return from May 25-27. Universal Orlando’s version of this nighttime spectacular will debut later this year; dates will be announced at a later time. 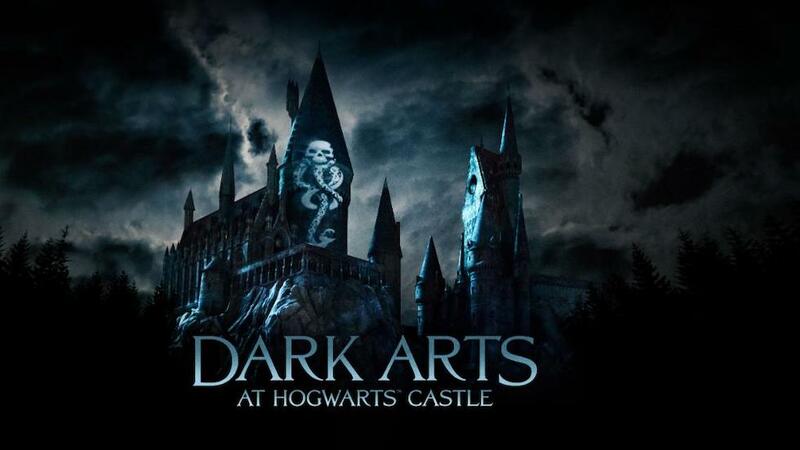 “Dark Arts at Hogwarts Castle” will cast a spell of light, music and special effects, unleashing the darkest creatures and villains into the Wizarding World, including He-Who-Must-Not-Be-Named himself, Lord Voldemort. Guests will have to summon their inner strength and courage to face this dark magic as it comes to life during the light display. As darkness falls on Hogwarts Castle, Dementors, Death Eaters, and other creatures – from Aragog and the mountain trolls to Thestrals – will cover the castle in sinister imagery from the darker side of “Harry Potter.” This won’t last long, as a powerful Patronus spell will be cast to defend guests against the Dark Arts. This new nighttime display will be accompanied by an exclusive musical arrangement that will be played in a surround sound environment. The new score was conducted by Williams Ross and recorded by the London Symphony Orchestra, based on the original scores composed by Academy Award-winning composer John Williams. Does the light show require a ticket in addition to the entrance ticket?